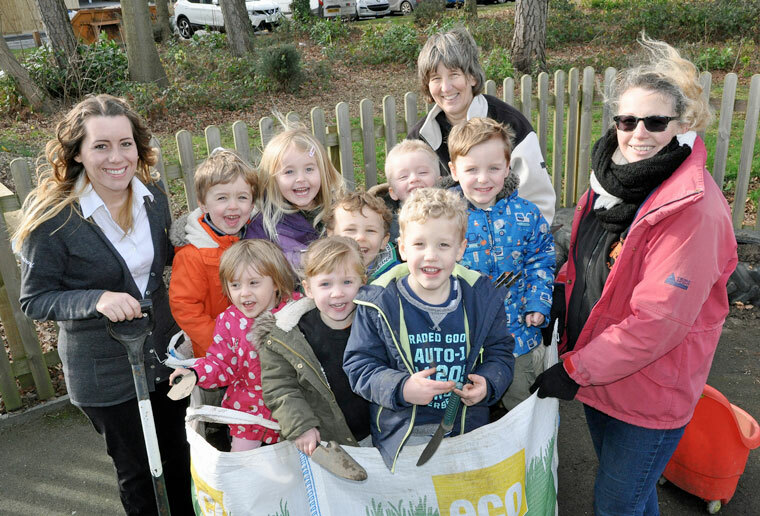 Creating a butterfly and bee friendly garden at a Highcliffe playgroup is proving to be child’s play thanks to the generosity of an organic recycling firm. Chewton Common Playgroup has received an unusual donation. Two tonnes of soil Super Soil – a 70/30 mix of soil and compost, from Parley-based Eco Sustainable Solutions – will enable the group and its 90 children, aged three and four, to create pollination friendly tubs and planters. Helen Dow, owner and manager of Chewton Common Playgroup, said, “This is an incredibly generous donation by Eco and we’re very grateful. “The playgroup is taking part in a UK-wide initiative called Polli-Nation together with Bransgore Church of England School, Highcliffe St Mark Primary School and Highcliffe School. “Apart from creating tubs and planters using the Eco soil and donated old tyres, we are encouraging parents to take home a planter and act as a guardian for pollinators.